This year, 2012 is a Leap Year,adding a Leap Day at the end of February. February 29th happens this week, only once every 4 years. Only years equally divisible by 4 are leap years ( 2004, 2008, 2012, 2016). My cartoon calendar Leap Day man is leading the way from Winter to Spring. 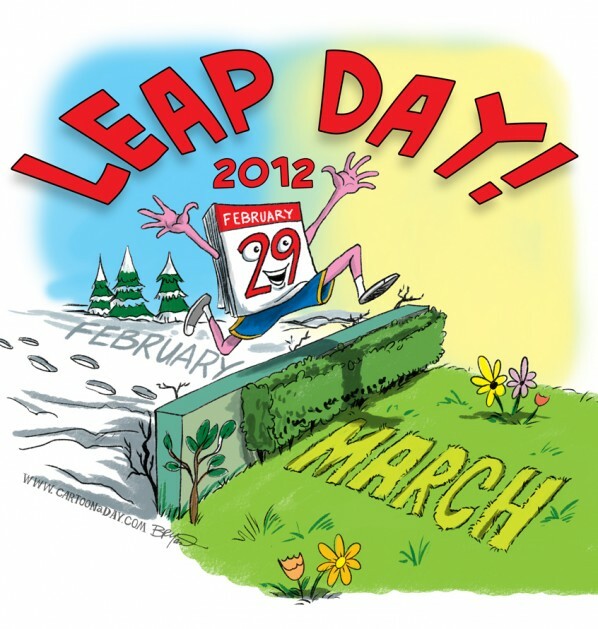 ANYTHING can happen on Leap Day, so be prepared to make it a memorable event! Happy Leap Day, All!!! 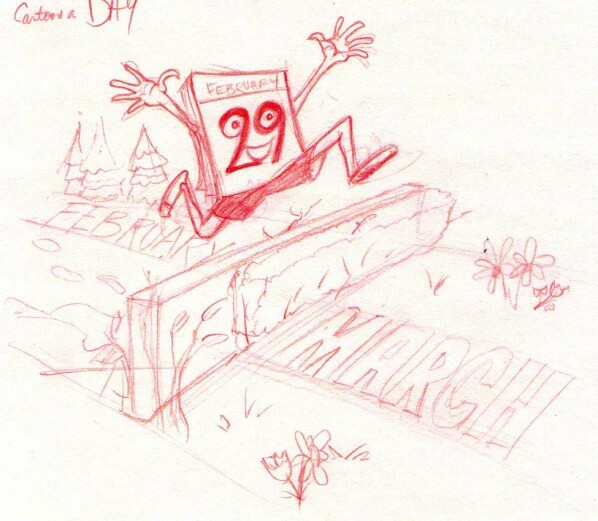 And below is the original sketch for the Leap Day cartoon. A cartoon Leap Day Calendar makes the leap from Winter to Spring in this Leap Year Cartoon.